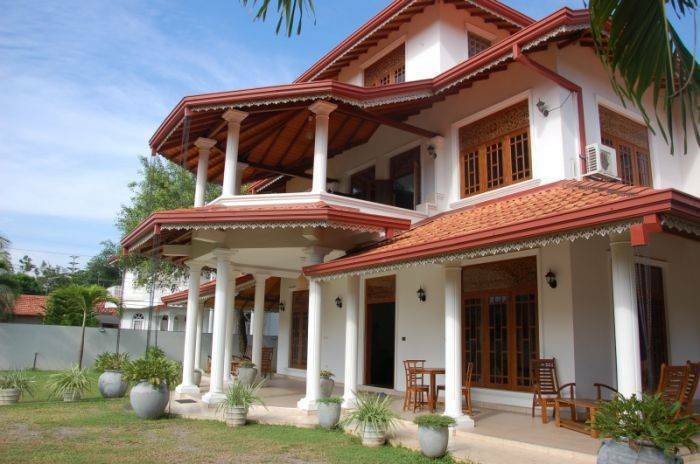 The beautiful Serendib villa, built in a colonial style in the former fishing village of Negombo, offers you the experience of a peaceful holiday. 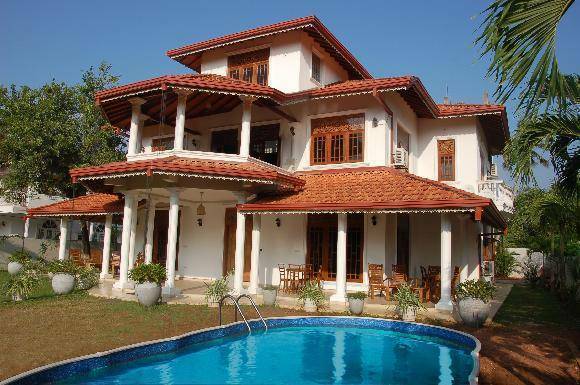 The villa has been through complete refurbishment, and the staff puts emphasis on the quality of the services provided and the satisfaction of clients. 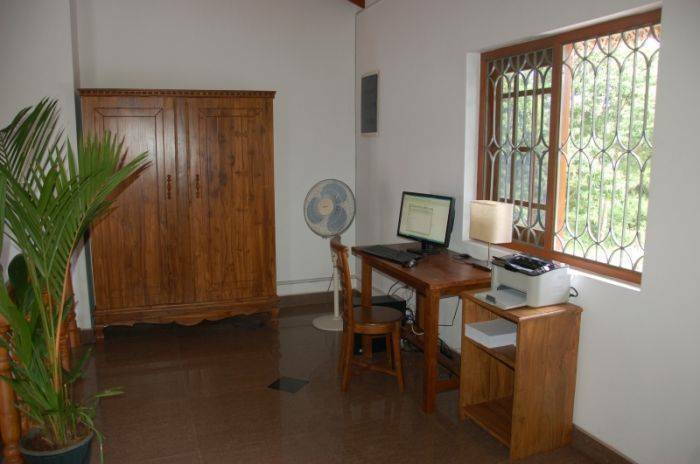 Large rooms, equipped with air conditioning and a bathroom with toilet, offer a view of tropical greenery, which you will not be able to tire of. The broad, beautifully gold sand beach is approximately 950 meters (about a 10 minute slow walk) from the villa, or about four minutes by way of the local Tuk Tuk. At the beach, a broad range of restaurants with excellent Sri Lankan cuisine are available, as well as numerous shops and bars. 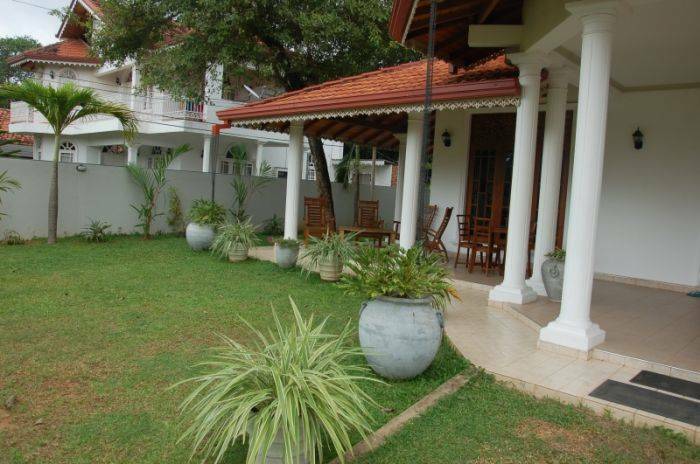 The center of the town of Negombo is about 1. 5 km. away. In the villa’s tropical garden, you will find enough space for your relaxation. 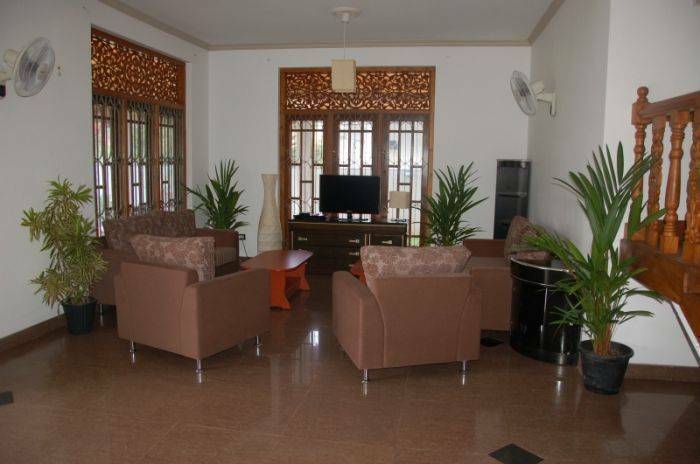 The villa has a total of five rooms, of which three are large rooms for up to four persons, one is a room for three persons, and one is an economy room for two persons. All of the rooms are equipped with individual air conditioning functioning 24 hours a day, a minibar, satellite TV, four rooms have a bathroom with toilet, the economy room has its own bathroom on that floor. There is a wi-fi connection within the whole residence free of charge. An internet corner is available free of charge. There is a pool with chaises and chairs. Not far away is the option of using an Ayurveda center with a broad offer of Ayurvedic massages and treatment procedures (more in the Ayurveda section). Further, we also offer the option of discovering the island fully with an English speaking guide, as well as with a Czech speaking guide within certain times (more detailed information in the section on optional trips). On the beach, there is the option of water sports for a fee, diving or fishing. Breakfast is served by agreement it is possible to order local specialties. The historic city is located just a 20 minute drive from the airport; here you will find a Dutch fortress and characteristic water canals. The city offers an ideal location for trips into the interior of the island. The beach here is long and narrow. Negombo is also a fishery center and is famous for its lobster, crab and shrimp. 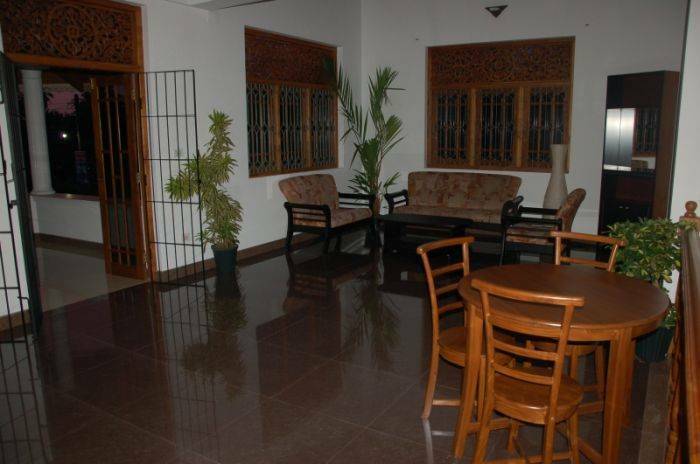 In case of booking of accommodation for 7 nights, we will arrange transfer Airport - Serendib Villa - Airport FREE!!! At the airport the driver will meet you and take you directly to the villa.